A really good year has started for Luca Caralvi, CEO of BlueFace Italy, located in LUISS ENLABS. His startup has raised € 10 million from BDO Development Capital Fund (at its 7th and largest investment to this day).The investment will be used to significantly accelerate the international expansion plans of BlueFace. 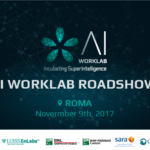 We have met Luca to congratulate for the big deal and also to have a little talk about his start with LUISS ENLABS, his progress and his success. 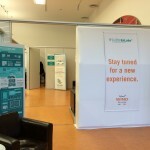 Hi Luca, so how did your BlueFace adventure start and how did you meet LUISS ENLABS? In 2012, my startup, which I’ve found with four partners, has been acquired by BlueFace. We had a little office (not so nice, but really really cheap) near Laurentina when Feargal Brady, Co-Founder & Director of BlueFace, moved to Italy. We, of course, needed a different place for work, our idea was triple: first find a dynamic and young place (also linked as closely as possible to the world of startups), second a more central office, and third, last but not list, a “commercially effective” space, that would allow us to find new customers. 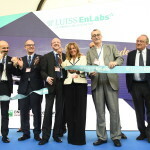 After a quick search on the internet, we knew LUISS ENLABS. 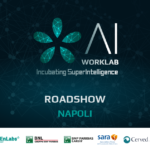 We first met Luigi Capello, ‎CEO of LVenture Group and LUISS ENLABS Founder, and Augusto Coppola, Director at LUISS ENLABS accelerator program, that were interested in a startup with international appeal, and then they helped us to take part at selection panels for startup and at the investor days. After a while…here we are! After some years of working with us, which are the changes that you’ve seen in the startups investments? When you’ve started this ecosystem didn’t exist and also the concepts of fundraising or investments, now, after three years that you’ve been here, I’ve noticed, first, that the capacity of the rooms at the investor days has changed (at the day, you can find difficult to enter) and second, that the scale of investment has increased significantly: it’s evident that there’s more willingness to these types of investments. That’s, of course, a really good thing for us. Thank you, Luca, for the really smart, interesting chat and we wish you the very best for the future!